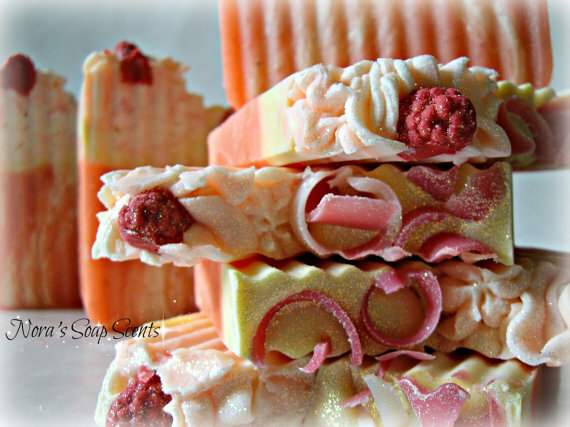 Today’s post is all about handmade soap. It always sounds like a good idea…but what a mess it can be! I made soap one time, and I think I’m still picking gunk from under my nails five years later. I say order the handmade stuff and skip the trouble altogether. Here are some amazing crafters that would love to share their handiwork with you and save you a kitchen clean-up nightmare. 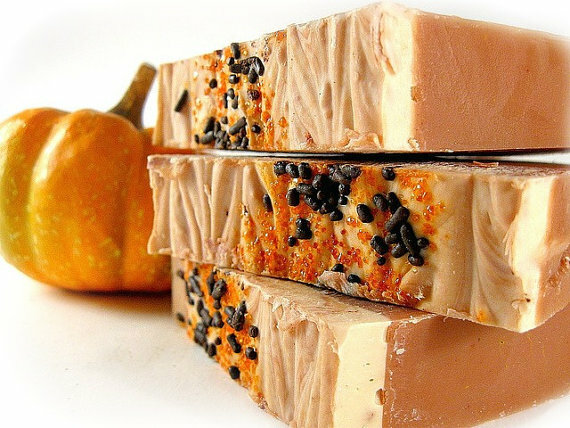 How about some festive pumpkin scented soap like these, available from LippincottSoapCo? Their soaps have even been featured in Creating Vintage Charm magazine, and with elegant soap like these, it’s not surprising. I also love these cottage chic style soap bars from NorasSoapScents. The price of her soap also includes beautiful gift wrap in your choice of sheer bag in white, black, or pink. They also come wrapped with a cute ribbon and flower accent, making them a great gift idea. 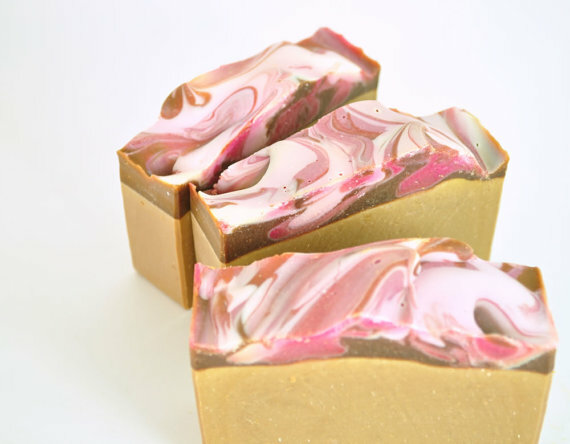 PinkParchmentSoap has this bar, named Monkey Farts. How can you not try something like that?! Are you intrigued? 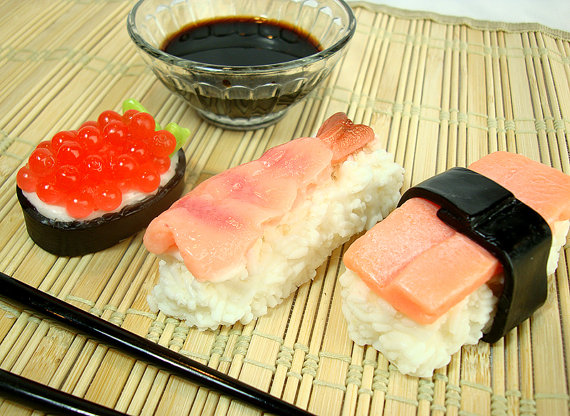 Sushi soap. Let me just say that again. Sushi. 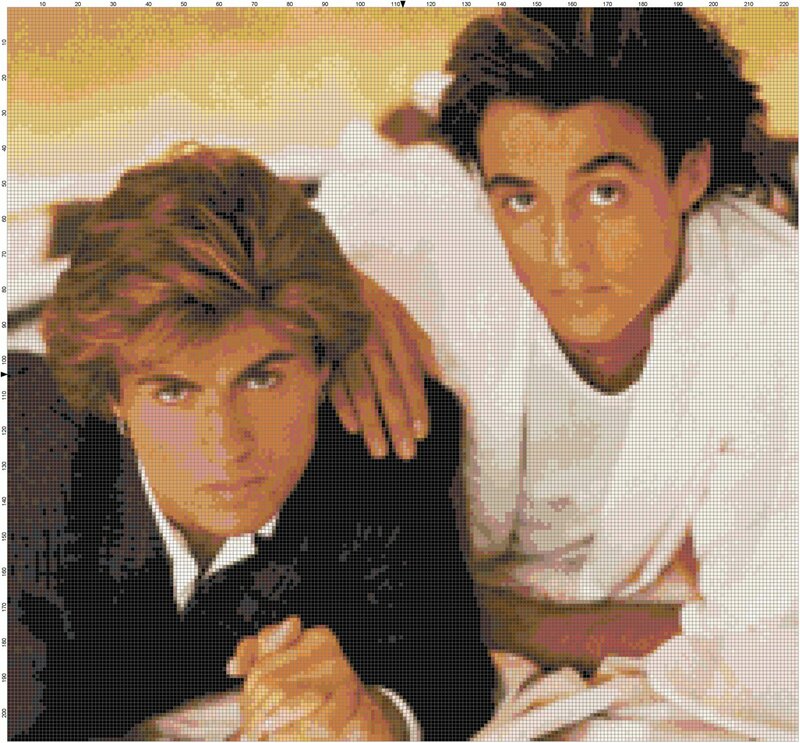 Soap. You can find this darling three-pack at the Etsy store Soapopotamus. Raw fish not your thing? Looking for something a little bit sweeter? 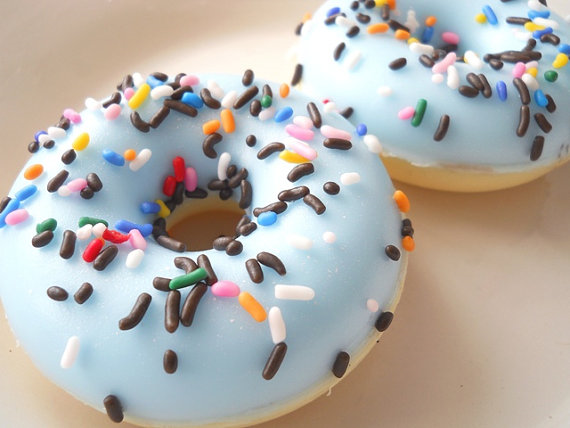 The blueberry sprinkle doughnut soap from TheLittleSoapStore is made from 100% vegetable glycerin soap and scented with a tart blueberry fragrance. 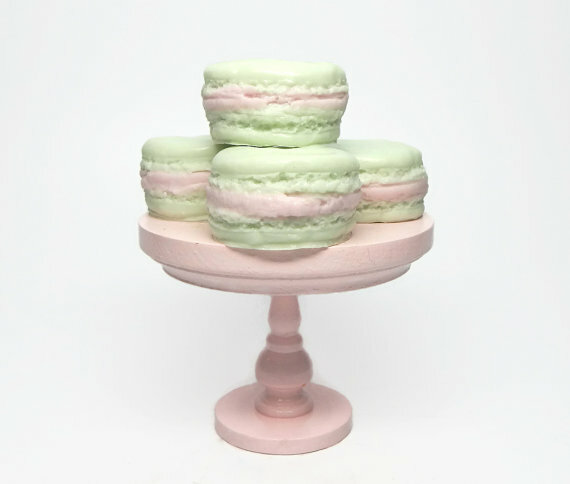 Or how about a tasty macaroon to scrub up with? This four pack is available at CandlelitDesserts for $12.99. Or maybe you’re looking to add a little pop culture to your bathtime ritual. Well, these next soap listings are sure to scrub you the right way! 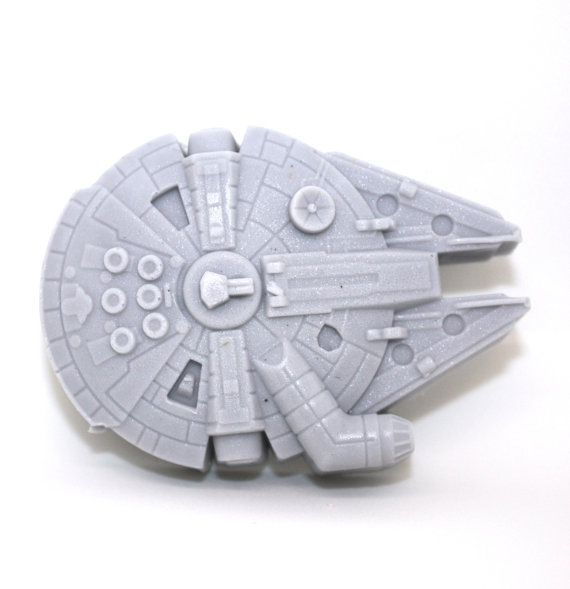 The Millennium Falcon Soap – it’s a perfect addition to any bathroom, kitchen sink, or orbital space station. It’s also a great idea for occasions like a white elephant gift exchange. This one is available at WizardAtWork. Stop by their shop for lots more geekery-themed soaps. Digitalsoaps has taken it one step further with their Pokémon soap. 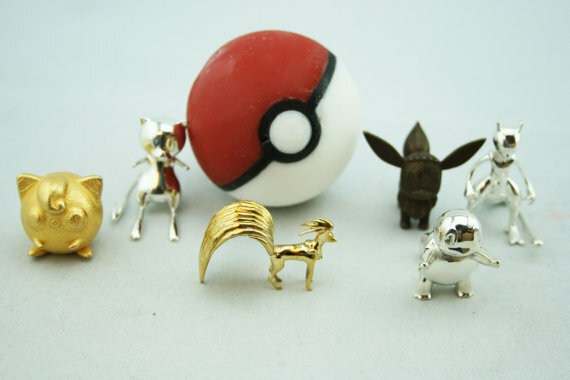 Wash away the fully 3D Pokeball, and you’ll reveal a surprise Pokemon toy waiting inside. 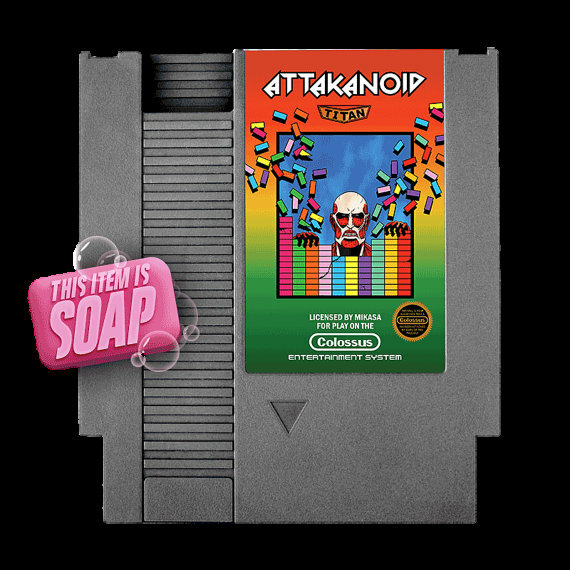 8Bit Nintendo Cartridge Parody Soap from Amanoxford is not only decorative, but fully functional soap as well. It complements a gamer lifestyle, makes friends go crazy with jealousy, and keeps your skin soft. Still want to make your own? 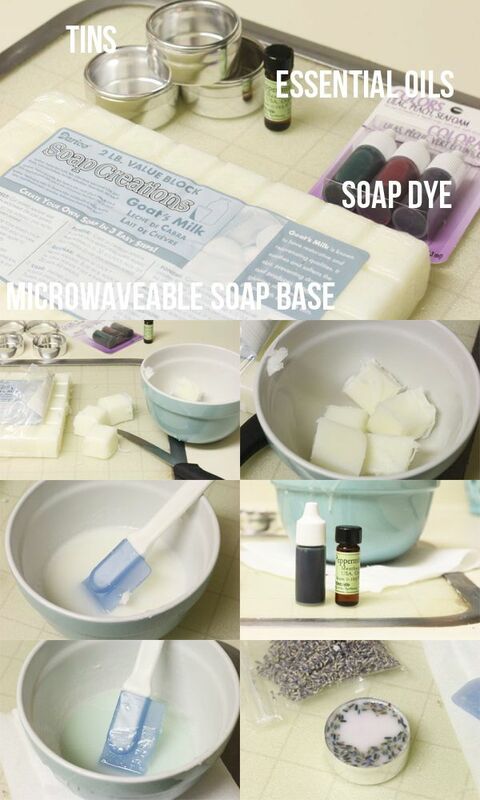 Check out these 11 soap recipes on Homedit. Thanks for stopping by! Hope you were inspired today, and thank you for continuing to support handmade. Be sure to sign up for email updates here on my blog, and I welcome your comments. See you again soon! Is That Caffeine on Your Wall or are You Just Happy to See Me? Ahhhhhhhhhhhhh, caffeine. It’s how I start (and continue to live) my day. Coffee, Diet Coke, chocolate – anything will do in a pinch. My love for that sweet magic is what inspired me to embroider this little puppy. 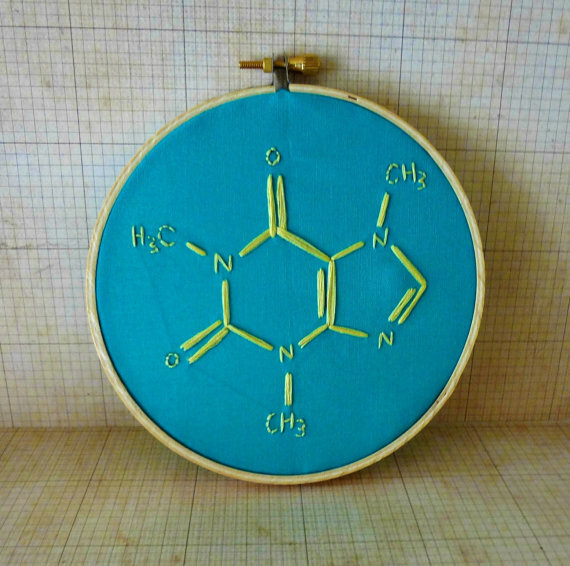 It’s a hand-stitched caffeine molecule. 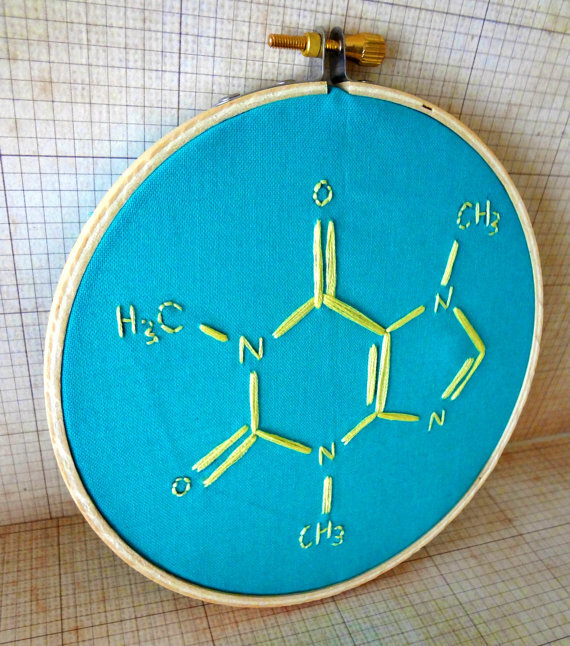 The hoop is about 5.5 inches and it’s stitched with eye-catching yellow on a bright teal fabric – sure to wake you up, just like your morning cup of Joe. Stop by my Etsy shop for more listing details. It’s perfect for home or office and is a great gift idea, too! Thanks so much for stopping by and supporting handmade!